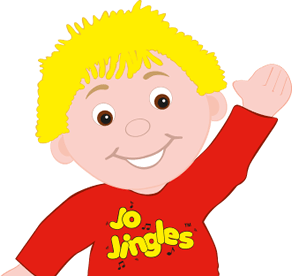 Welcome to my Jo Jingles classes in Grantham, Stamford, Melton Mowbray, Sleaford, Boston and the surrounding villages. My main aim during our 45 minute classes are for all children, parents and carers to have heaps of fun with music, sound, rhythm and dance. 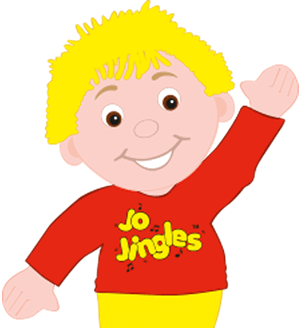 And enjoy Jo Jingles as much as I do. Vikki trained in Musical Theatre near her hometown of Glasgow and moved to Stamford almost 10 years ago to help her husband run his theatre company. Over her years here she has been involved in many local theatre groups and youth theatres and has taught drama and musical theatre in various venues and schools. 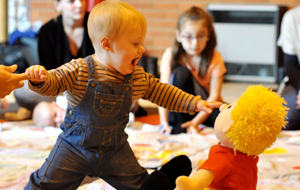 Vikki started attending Jo Jingles when her little boy was 4 months old and they both instantly loved it! The sessions are interactive, friendly, interesting, relaxed, creative and most of all fun! 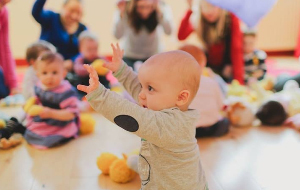 Vikki is incredibly excited to be joining the Jo Jingles team and can't wait to help your little ones discover and develop their own creativity and personalities through out the sessions. My girls love going to Andreas’ classes, so much so we do a 150 mile round trip to go there. I've never seen my baby enjoy a class as much as she does a Jo Jingles session hosted by Andreas! Andreas is fantastic - the babies are captivated by his enthusiasm and animated expressions! And I love watching all the babies have so much fun, they just can't control their excitement! Our experience with Andreas has been fantastic! My daughter has loved his class above any other music class we’ve been too, always happy to be there and enjoying herself the whole time. Andreas is fantastic with the children and makes it a very personable experience, taking time to build bonds with the children as well as creating such a happy and fun environment. I couldn’t recommend enough! My daughter Esmé and I really enjoyed Jo Jingles. From being shy and unsure at first, Esmé quickly grew in confidence as she learned the format of the classes. The classes are engaging and fun and the children have the chance to dance, sing, move to the music and try out different instruments. They hug and kiss the Jo Jingles cuddly toy and through identifying with Jo, settle in and enjoy the session. Esmé liked the calming section of the session where Andreas blew the children little slow popping bubbles. This was mesmerising for the little ones and helped them wind down for some quiet time. Having had Jo Jingles at Albion House Nursery for almost a year, the children absolutely love it! Having had Jo Jingles at Albion House Nursery for almost a year, the children absolutely love it! They really look forward to the Friday morning sessions with Andreas and Jo, and we can often cheer up a sad child by reminding them the Jo Jingles is coming! Andreas is great with the children and they respond to him really well. From a nursery manager's point of view it is great to have a man in the setting because for us this is very rare. Even the shy children want to sit next to him and are happy to join in. 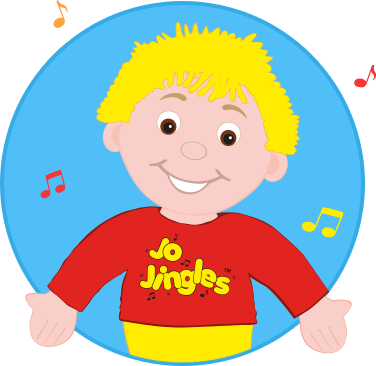 When I asked the children what their favourite bit of Jo Jingles was, they quickly listed so many different things; the singing, the dancing, the playing instruments, the getting a sticker at the end!! All in all the children love the sessions Andreas does, they have so much fun and learn new songs which is great for the staff too as they get new ideas. The staff also join in with the sessions and enjoy them too. I feel this is important as they are learning the songs and the actions with the children, and setting a role model for the children and helping those who need it. My son Harrison has just finished his first half term with Andreas and Jo. Harrison's confidence and ability to socialise with other children has grown so much since joining Jo Jingles which is all thanks to Andreas` hard work. Harrison was very shy and hid behind me at our first session over the summer but Andreas had him singing and dancing before the end of the session. Andreas has a wonderful ability to get to know each child individually and how to get the best out of them. Harrison and I had tried many different toddler classes and none come close to being as good as Jo Jingles. I highly recommend Andreas and Jo.